1. Kelly Rowland: I love this dress on Kelly. She wore a black cutout mermaid tail gown by Georges Chakra. So hot. 2. Solange Knowles: Solange wore an emerald gown by Ralph & Russo and accessorise her look with hot pink spiked pumps by Christian Louboutin. I am so loving her hair, she looked fab as always. 3. Rihanna: Riri stole the show with this red dress by Azedine Alaia. She looked amazing. 4. Jennifer Lopez: Call me crazy but I love this Anthony Vaccarello dress on Jennifer. I love her accessories especially the heels. They complement her dress. Perfection. 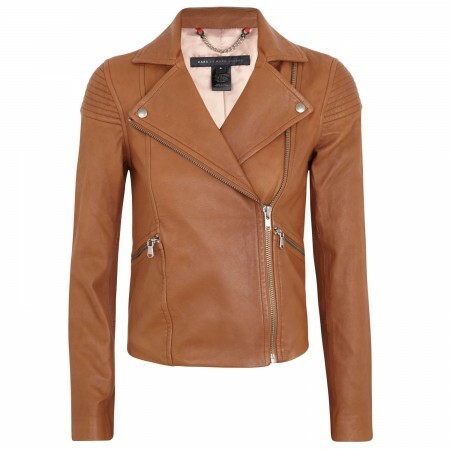 I am loving this sergent leather biker jacket by Marc Jacobs. This is my current jacket lust. Although it is pricey at £795, I think it is definitely worth it because it is 100% leather (lamb) lining which is quality at its peak and it is Marc Jacobs which is also quality at its peak. You can window shop this jacket at Harvey Nichols. I am loving the black and white look. I now know what to expect in shops. What do you think?